While headlines and hashtags are the lifeblood of great content, agencies have to take care with their use of words and own up when they make mistakes, says the founder of DARE Group, Sue Parker. This week an unbelievable error of judgement was made by an appalling and unacceptable hashtag and headline by David Koch’s KBB Digital agency. In a post on LinkedIn from their MD, Dave Chaffey the hashtag #socialsuicide was used with the question “What does social suicide look like”. It then linked to a blog and video headlined “Social Suicide – The Biggest Mistakes to Date”. The post and hashtag has been removed and the article renamed ‘Social Slip – The Biggest Mistakes to Date’. It is tacit that headlines and hashtags are the lifeblood of great content eyeballs, engagement and distribution. We are all scrambling for the juiciest hook to promote brands, stories and social issues. 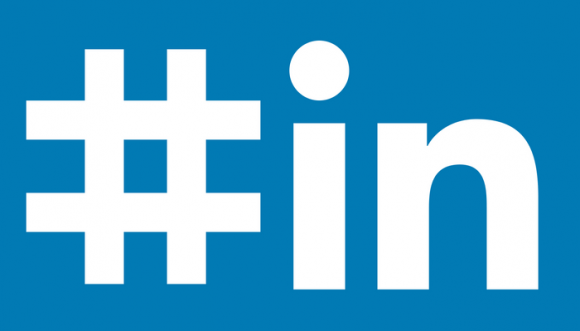 And trending hashtags have taken on a new life of their own particularly on the largest business social media platform LinkedIn. The issue drew the deserved ire of many including Lifeline, the Chair of Suicide Prevention Australia and a raft of Twitter outrage. Fairfax ran the story and a few commented that its political correctness gone haywire. Using the word ‘suicide” in any media or content in 2018 is a big NO for any story that doesn’t relate to the actual issue and act itself. There is enough information from the Press Council and other bodies around the appropriate use of the word which I need not further add. His response is concerning because it highlights much of what is wrong in society and in business in general – albeit in the case of digital agencies, content curators and bloggers. Firstly, the fact it was a “young author” highlights a lack of due diligence, training and a mentorship to guide direction and cross-check work before publishing. It also clearly smacks of hiring inexperienced staff to save $$. After running a recruitment agency for 11 years I can testify to how many wanted to hire young people because it saved money. But whilst that can be a logical business move, training and guidance needs to be given within the agency. But guess what – it rarely happened. So the issue of what happened with KBB is and does happen every day. Poor output, lack of checking and damage – both to their own brand and clients content. Secondly, pulling out the “political correct card” is totally irresponsible and bullocks. Even a few people went that illogical route in the comments on Fairfax citing Suicide Blonde by INXS – stop being precious. The world has changed and what was once OK is no longer due to many reasons – far too many to list here. Just think of issues around domestic violence, environment, climate, food, war etc. But putting the 2 words of ‘social’ and ‘suicide” together is the WORST possible use of the word in our world now. Political and career is less so because we know that horrific social media bullying has caused many to lose their lives. What can be learnt from this error of judgement and response? Admit you stuffed up and made a mistake – in a world where brand equity is hinged towards vulnerability and authenticity – step up to the plate. Come on everyone, let’s all do better – for our clients, our own brand and our staff. Sue Parker is the Founder of DARE Group Australia. An ex media recruitment agency owner she is a personal branding, LinkedIn and communications specialist to professional and creative services. In an article about content and quality, the errors speak to the quality control at Mumbrella. Of course sometimes words need to be removed or replaced to create understanding. But putting the 2 words (of) ‘social’ and ‘suicide” together is the WORST possible use of the (word??) in our world now. Perhaps you can get a human to read your copy before its uploaded. Thanks George, that line has been fixed. Wow George, never mind how important the underlying message of the article is, you thought it more important to point out a couple of typo’s. Good for you. Finally someone has taken on the importance of throwing that word around for clicks. It really happens all too often. Pairing it with social media as well, is a slippery slope. I know we live in a world where being politically correct sometimes get out of hand, however, when it comes to suicide, I don’t believe we can take a chance. We really do need to be more socially conscious when it comes to sensitive topics. This article seems to have been written simply for the sake of writing an article. A comment on the article in question would have been more appropriate. I guess this comment is also to the same tune, should’ve just kept it to myself. Sorry for wasting everyone’s time – maybe I’ll write an article about it. It’s good to know that using the word suicide with either ‘political’ or ‘career’ is less of an issue??? That’s an established norm is it? Perhaps a long held cultural quirk, or maybe it’s some sort of rule of grammar? What a ridiculous piece, based on upholding decency and high standards of communication, and then arbitrarily applying a different standards for yourself. And dor a pair of remarkably similar terms, that simarly, have a dark association with very real instances of suicide. I’d continue on, but the hypocrisy is starting to get quite heavy around here.